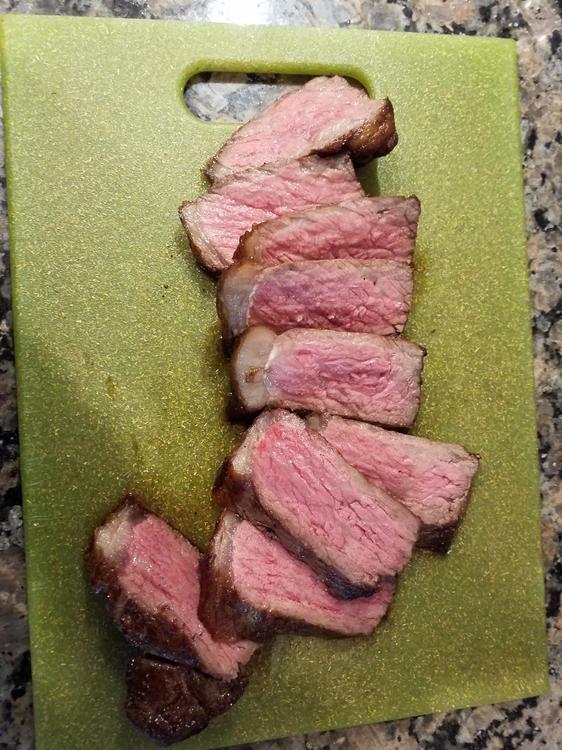 This steak was moistened with RB 40 fish sauce at sat in the fridge for 48 hours. 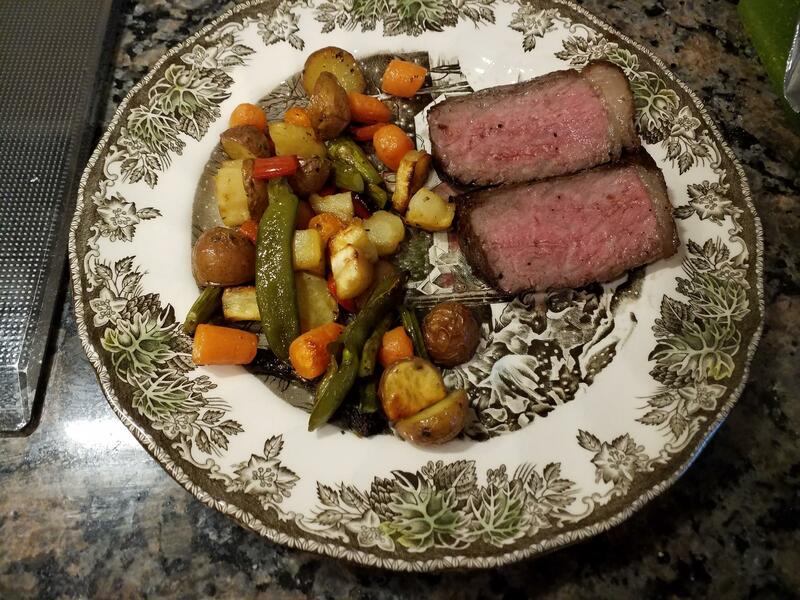 Cooked tonight sous vide for 1 1/2 hours at 133F then seared. No fishy taste. It was unbelievably tender, but it was a pretty good quality chunk of neat to start with. that sounds pretty cool and experimental. like..you fermented the steak with the fish sauce and the bacteria (or enzymes?) broke down the "protein structural bonds?" thereby tenderizing it and producing a more richer flavor maybe also? how was the flavor of your RB40 Steak ? The flavour of the steak was good, but I did not notice any difference from a non-RB40'd steak. I will say it was very tender, but it was a well-marbled AAA grade to begin with. I wouldn't call it fermenting. The fish sauce was just a very thin film, a few drops per side at the most. I don't have a science background either. for me in a good way. can't really say what that flavor is certainly not fishy nor salty. I would love to see a cost/benefit analysis between Prime Now/WF DAS and RB40. My money (or in this case American tax payers' money) is on the DAS. you have to understand their tastes and that they are big meat eaters. there is no fish flavor nor did the steaks get salty. RB40 has no medicinal flavors what so ever , on my palate. the Boys @ SVE have very particular tastes. once you8 take that into account in their reviews , and don't mind their ' style "
they have done a lot of experiments I then do not have to do. I hope complementary of course. I have two of my favourite cuts of beef (chuck eyes) in at 54.5°C for 24 hours. These were a gift and I’m looking forward to enjoying some perfectly cooked beef tomorrow evening.